Anyone notice WTVN has become a tougher catch lately within the last 2 months or so, I’ve been getting the 610 out of Philadelphia most nights and I’m in the Northern Macomb County area. They are on STA at Night with 1000 watts nondirectional. WIP/WTEL comes in almost every Night now. If you look up the STA application on CDBS, you'll read what happened. Seems like one of the six towers collapsed, but I'd also have to look it up. It's still 5 kW nondirectional Days. 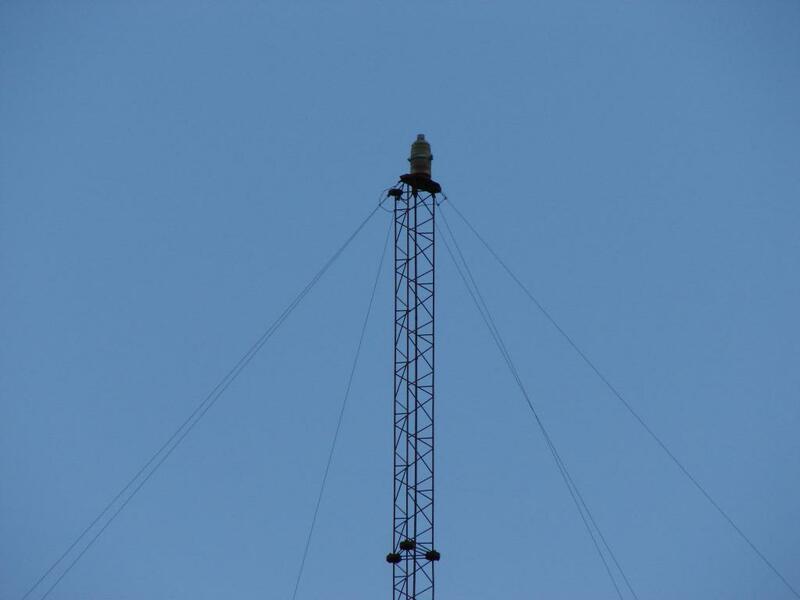 With the DA, the IDF maximum to the North is something like close to the Class B equivalent 50 kW Night "ERP" with 6 towers. When Carl Smith designed it (described in detail in the NAB Engineering Handbook from circa 1947 as WHKC), the IDF to the North was 1270 mV/m at 1 MILE). It's worth looking up if you are an AM DA Geek. It explains a lot about multi tower DAs in general. The Augmented Pattern today is a little different, the maximum is a little less. I had to look. Tower 1, a short top loaded tower about 200 feet high, collapsed. Tower 5, the tallest tower, a monopole of 142.5 electrical degrees height, is the tower being used for the Day, and I would have to check, but most likely the STA Night tower. 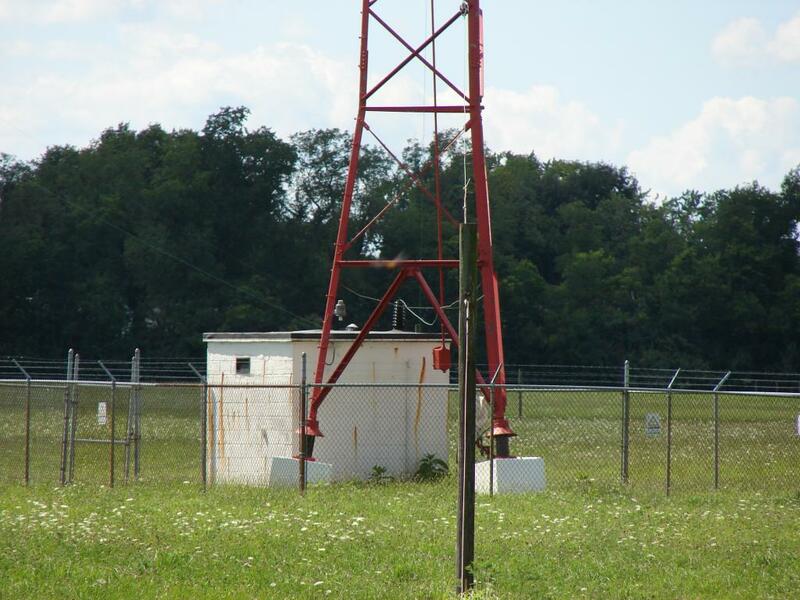 Tower 5 is used for the 1000 watt Night STA operation. Based on 282 mV/m at 1 km efficiency at 1 kW, the "ERP" is 43.6 kW at 5 degrees true. Smith explains how he arrived at the efficiency. I think there are more losses than Mr. (Dr.?) Carl Smith anticipated. jry may know if he had a Doctorate in Electrical Engineering. 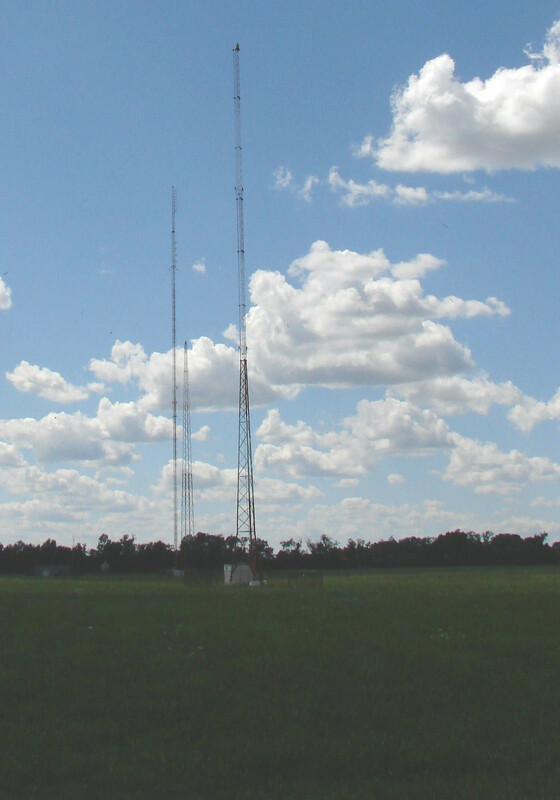 Carl Smith was the engineer who designed the WHKC/WTVN 6 tower and the WGAR/WHKW 5 tower array, and it looks like the CKLW 5 tower parallelogram with center 5th tower, and the old WTAC/WSNL four tower vectorially additive design parallelogram, in this area of the country. Probably the WHK three tower dogleg also, a vectorially additive design. Last edited by CK-722 on Sat Jan 12, 2019 10:21 pm, edited 3 times in total. Thanks CK-722, that indeed was helpful, I knew something wasn’t normal on that station, I just thought it was strange picking up what used to be WIP out of Philadelphia, What are the calls on that station now? WTEL. I keep having to look it up. Good info; thanks to Oldies 84 for starting this thread. Indeed, I noticed zero sign of 610 WTVN at night earlier this week even though 700 WLW, 1020 KDKA and 1100 WTAM were piping in. The 610 spot on the dial was almost completely quiet at the time. It's OK to listen to WTVN, MW, even though it is in Columbus. Here's Carl E. Smith's Obituary, which is kind of ambiguous as to whether he had a Ph.D. He is certainly the Father of complex AM BC Directional Antennas. It explains a lot about his career. Carl E. Smith once again touched all our lives this week as the rescuer of the American Gothic House in Eldon, IA. Carl Smith inherited the 500 square foot house his father acquired in 1943, and later donated it as a Historical site. The house has appeared in hundreds of humorous meme pictures this week with photos of Senator Chuck Schumer and Speaker Nancy Pelosi photoshopped into it. Last edited by CK-722 on Mon Jan 14, 2019 10:55 am, edited 2 times in total. One of my favorite stations is based in Columbus, OH - 99.7 The Blitz. Here's Carl E. Smith's section of the 1949 NAB Engineering Handbook. It was originally from 1946, when a lot of post WW II AM arrays went on the air. Discussion of the WHKC/WTVN array begins on Page 24 and continues to Page 28 of this section. Tower 1 is still Tower 1. Tower 5 is still Tower 5. There are a few details which don't quite match up in the description, but it is very close. Looks like some are now described as top loaded instead of as monopoles. The WTVN antenna farm appears to be a ragtag bunch of towers seemingly crafted out of miscellaneous steel. Towers 1 and 2 are self-supporting triangular towers, tapered at the base, whereas 3, 4 and 6 are square base self-supporting tapered towers. Tower 5, the daytime Non-DA tower, was later also used as a supporting structure for the FM station. This doesn't surprise me, as the array was built during and after World War II, when steel was in short supply. The license for the 1 kW nighttime was granted in February 1945. 5 kW operation was first applied for in 1946, went through several modifications, and was licensed in 1949. The towers were probably put together from whatever was available, and made much shorter than ideal (with top-loading). The towers being in the vicinity of 70 years old, it's not entirely surprising that one would suffer structural failure. I had the privilege of knowing Carl Smith early in my radio career. I learned much from him and his staff, visited their offices on Snowville Road and saw the mechanical pattern engine - a series of knobs, dials and gears that could be configured to draw pattern plots. While T.A.M.Craven is regarded as the father of the directional AM antenna, Carl refined the mathematics and techniques and established the science as we still know it, literally "writing the book" on AM DAs. Tower Layout (Rough, to fill in this duplicate post box). Last edited by CK-722 on Wed Jan 16, 2019 6:14 pm, edited 10 times in total. Was that the CRT display pattern generator described in the Encyclopedia Britannica Yearbook? We had the 1938-1947 Yearbooks, but I donated them to a University of Michigan Library, rather than just taking them to a Secondhand Store. It described some of what you describe, but the output was the CRT screen. Said it did up to six towers. As I recall, it was a mechanical device that drew the pattern on paper given the parameters set using dials. I may have a picture of it (it may also be in earlier editions of the NAB Engineering Handbook - the only one I have is the 7th edition). I think the two-tower pattern plot families in the directional antenna section were produced using his device. My resource for some of the history was indeed the history cards, which are a tremendous resource (and a great time-waster) now that they are all online. I remember thumbing through some of them at the reference room at 1919 M Street back in the day. Now for some pictures. I took these a couple years ago. 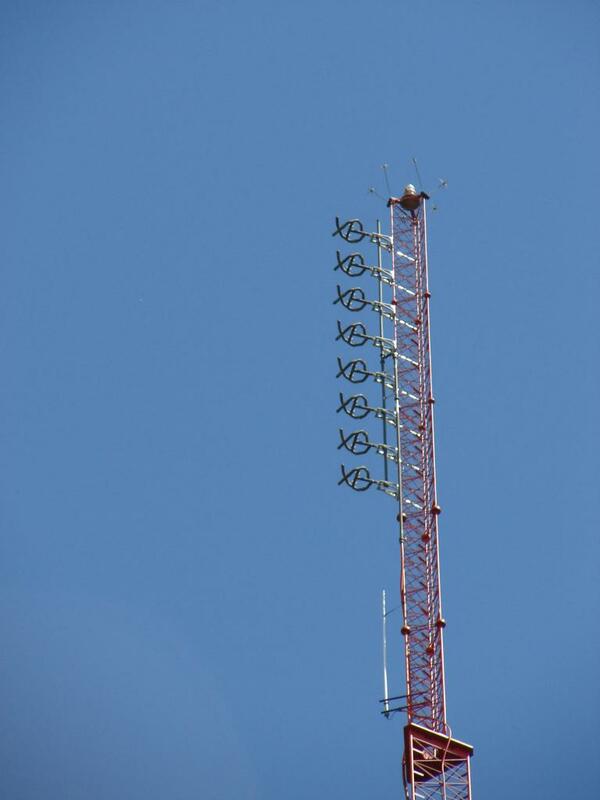 5 is the tall tower used by the daytime non-DA and holds up an FM antennas (and, in the 1950s, a TV antenna). Totally awesome pictures! Thanks for posting. I see a Stati-Kat on Tower 5. Wish I had those Encyclopedia Britannica Yearbooks. Hope UM-F didn't sell them. Last time I was in there, they were still there. I think its under the "Radio" Article. Probably toward the end of the ones I donated, like post WW II, 1945-1947. I did History research, among other things, as I knew it, for the late Bill Sanderson, at WFNT when they were working on their Array, before the cards were online. I didn't go to DC. Some of the early records for WWOK and their array details were lost, because it was relicensed as WCLC, and my telephone research with the late John Cantelon, the late Edgar's brother, revealed the information needed-the sequence of the old callsigns. There is a fascinating History of the owners, reaching from the Drohlichs, to the Carrells, owners of seven "portables" back in the day who parked them where they were when the FCC told them they had to stay in one place, to Fred and Nellie Knorr and John Carroll of Keener 13 fame and family, to Beck Ross Communications. With the old call letters, they were able to find the old files, filed under the old callsigns. All of these people have sadly passed away. I miss talking to them, and wish I'd been able to talk to Nellie Knorr before she passed away, at the Motor City Reunion. Ed Cantelon was another fascinating person to talk to about these things, he probably was easily able to measure WTVN's frequency from his Beverages atop "Mt. Trashmore", North of Pontiac. Last edited by CK-722 on Thu Jan 17, 2019 3:25 pm, edited 1 time in total.